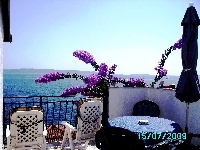 Welcome to our selection of holiday rentals in Croatia. Croatia is a country whose capital Zagreb is the largest city. It has overcome many battles over many centuries until eventually they got their own independence in 1992 with the dissolution of Yugoslavia. Though through it all - many beautiful and historic things have survived giving the country a magnificent seven World Heritage Sites and eight national parks. The Euphrasian Basilica in Porec is a glorious example of architectural wonder built in the 6th century with marble columns and fragmented with marvellous mosaics from the Byzantine period with a beautiful depiction of Jesus and the twelve apostles. Another religious world Heritage Site is St James Cathedral in Sibenik built entirely of stone with no wooden supports is an example of 15th century Italian style with craftwork from local artisans added over the ages. Trogir is a Croatian island whose whole town centre is a World Heritage Site. It is pedestrian only and so therefore a pleasant visit will be uninterrupted from traffic noise. It also has marvellous beaches and is connected to the mainland and another island by small bridges. Another town protected by World Heritage is that of Dubrovnik dubbed by George Bernard Shaw as the pearl of the Adriatic. And it is a gem to behold with its Baroque, Renaissance architecture, fountains and facades. The Diocletian�s Palace is a Roman grandiose building built in the third century AD in Split when he reigned as emperor. Its 26m wall hides many treasures of ancient Roman architecture including the mausoleum which once gave offering to Jupiter is now a Cathedral dedicated to St Domnius. 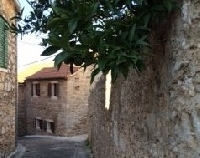 Stari Grad is one of the oldest towns protected by World Heritage and is a walking museum of history that many travel through on the way to Hvar Island and Ferry. It has a large and well-preserved castle once owned by one of Croatian�s celebrated writers - Petar Hektorovic. Finally, the last but not least of the seven wonders of Croatia�s World Heritage Sites and that is the Plitvice Lakes National Park, one of their eight national parks. This park is protected due to its natural wonder of its sixteen lakes, waterfalls and bubbling streams set within a wooded habitat that is home to rare birds and wildlife. Croatia has much to give with its history and natural delights and let�s not forget the wonder of the Dalmatian Coast, which has yachts to charter and for cruising. There are also water sports such as diving, fishing and sailing or you can clamber the hanging rocks. If you prefer a walk or cycle it a generous way of feasting the panorama. Or just simply bathe and revel in the sun on white-sanded beaches. 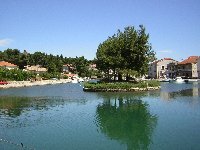 Looking for self catering holiday accommodation in Croatia?, then below is a selection of villas in Croatia and apartments in Croatia that can be rented direct from their owners. You can either click on each listing for further details or you can use our search engine on the left if you are looking for something in particular.